Subaru Impreza GD from second and third face lift are possibly the best Subies, for the best price. They are also sharper and more exciting to drive than GH - the third generation. Propably the best all-wather 4 seater money can buy. 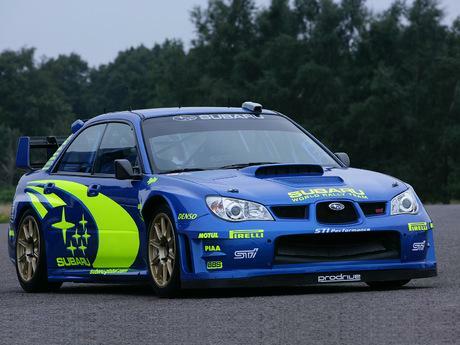 Impreza STI was a good sportcar, developing with proportional steps. But in 2006 the evolution stopped. And since then nothing spectacular has come to the market (except the Cosworth-tuned limited model). There is actually no difference to the 2005 model, but that in addition costs less. The 3 generation left nothing progressive, so I don't see the reason of purchasing the current Impreza STI. Subaru needs to present the new Impreza STI already, which would be really an impressive one as it used to be. I love Subarus, especially Impreza WRX STI, I think it's an awesome car, of course it's going to have some understeer, it's all wheel drive, but if you're driving on loose or slippery surfaces, this is what you want. May not be the best on clean surface or straight line, throw down some snow or gravel and you really learn what Subaru is all about. you have to mods the car otherwise its not fun. oh really? i just bought, a jdm sti ej20 version 8 spec c whole engine and ranny swap, is it comprable to these specs? WRX STI has short gear ratios. It's created for acceleration not top speed. i have a 2004 subaru wrx non sti and i have gone 235kph theres no way the sti only dose 255. if so my engine swap im doin is a waste. Can I re-add some cars? I find many cars (these cars have laptimes, so they definetly have to stay in this site) without many fundamental datas or wrong datas and those datas haven't fixed. Would you mind if I re-add some of them with correct datas? Guy's let it go.I mean just because it's got a big wing and a big exhaust. Lets see what will happen now that they remove a few major rules. i added the new picture at the bottom you can add. i thought the snow scenery would add to the beauty and rally insperation to the car. Do you have a better picture you can add? If so I can then update the main image with the new one. im sorry i should have put it better. i ment the picture is wrong. its the 2005 one, after the one with the round headlights, the one with 300bhp!!! this isnt the one that did that 1:30.1 top gear lap. Which one was it then? 0-200 is in 18.5 sec, not 21.5.
is it possible that the Bedford West laptime was driven by a more powerfull version? 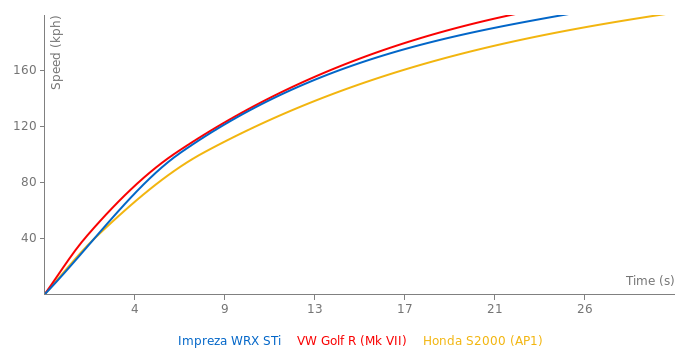 The laptime is pretty close to the 300lbs lighter and more powerfull Evo IX FQ 340 and much faster as the all new Evo X MR. The link only claims Evo magazine.. anyone knows the link to the article reporting the laptime and car specs?